Hopvemberfest at Tortuga’s Lie was a huge success over Veteran’s Day weekend. 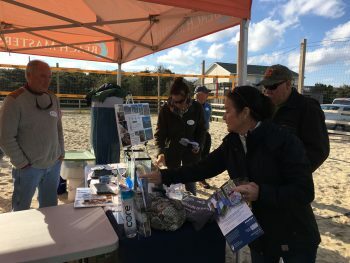 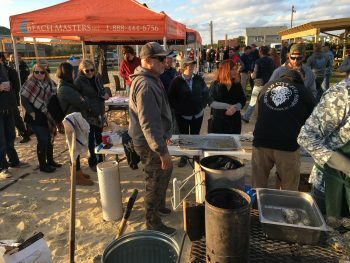 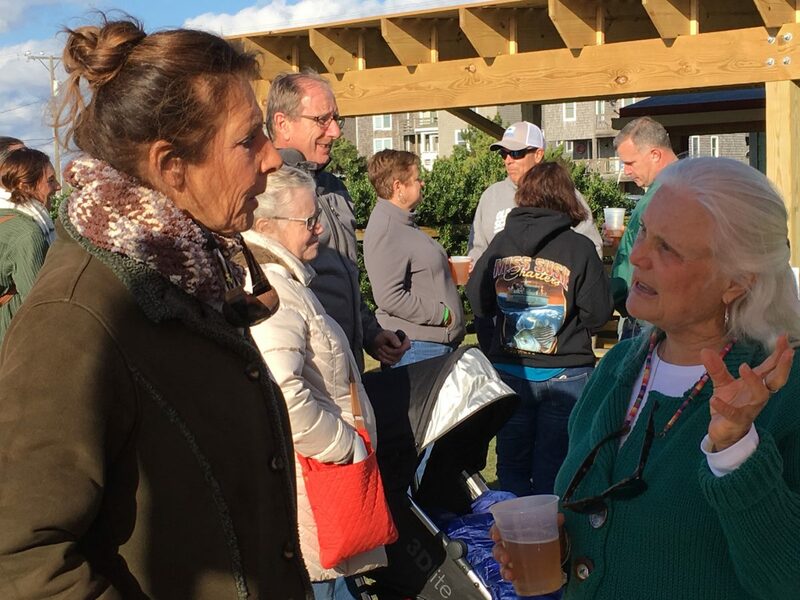 Hundreds of locals and visitors came out on a beautiful fall day to enjoy grilled oysters from Greentail’s Seafood Market & Kitchen, North Carolina craft beers from Buffalo City Jug Shop, Fortnight, Mother Earth Brewery and Wooden Robot as well as local Kill Devil Rum from Outer Banks Distillery. Proceeds and oyster shells from the event will support the North Carolina Coastal Federation’s local oyster restoration programming. 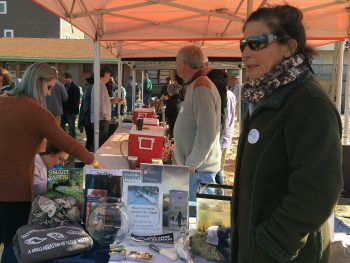 The federation set up a booth that highlighted their oyster restoration work. 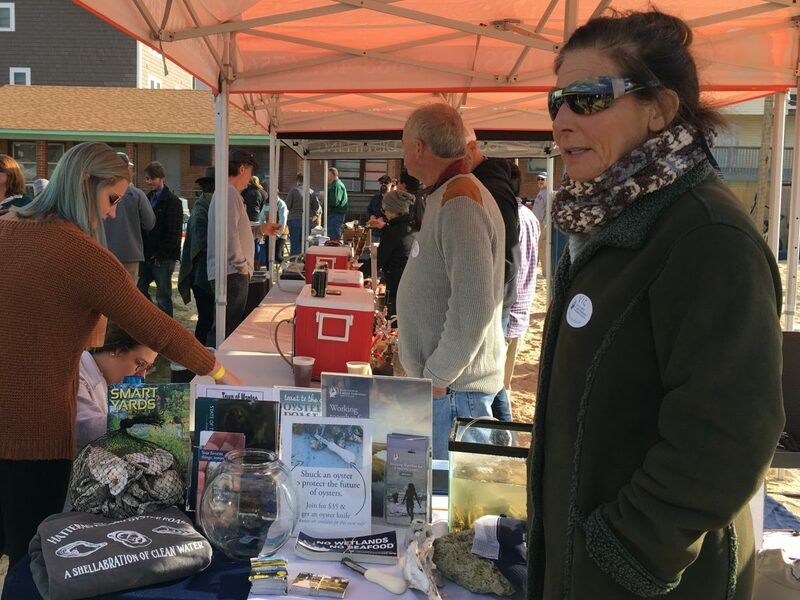 Pelican Award winners, Tom and Vickie Byers, manned the booth that included live baby oysters and demonstrated several types of restoration techniques. 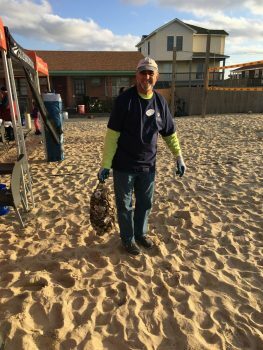 Additional volunteers helped to collect and recycle oyster shells from the event. 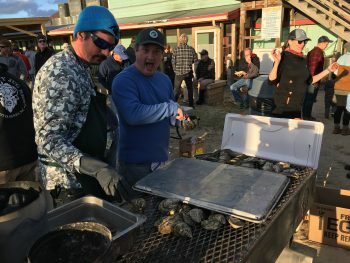 The shells will be used in the federation’s local restoration efforts in 2019. 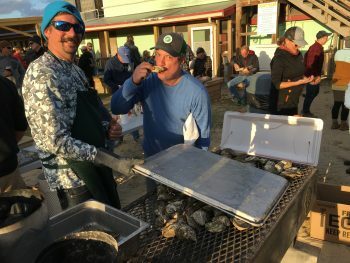 To learn more about the federation’s oyster work, visit nccoast.org/oysters.